Tribhuvan University, Institute of Science and Technology published the result of M.Sc. 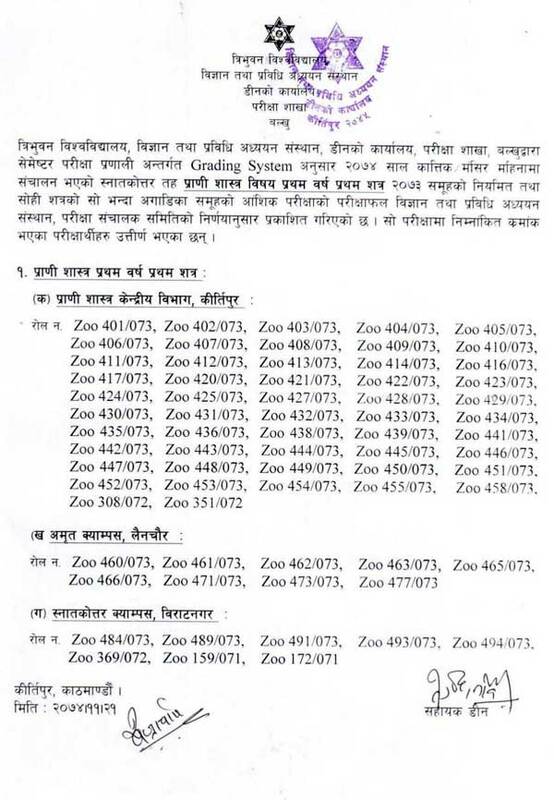 Zoology 1st semester 2073 group for the regular and partial examinations. The exam was conducted in the Kartik/Mangshir of 2074.